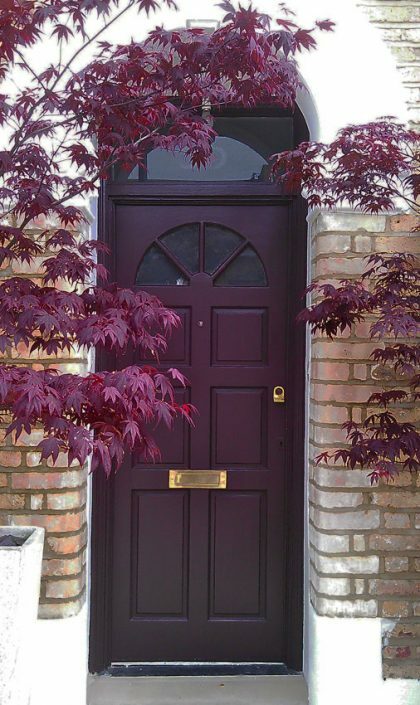 How to update a tiny front garden in a Victorian terrace…the need for something a little more contemporary but using materials that would blend and be sympathetic with the history of the house. 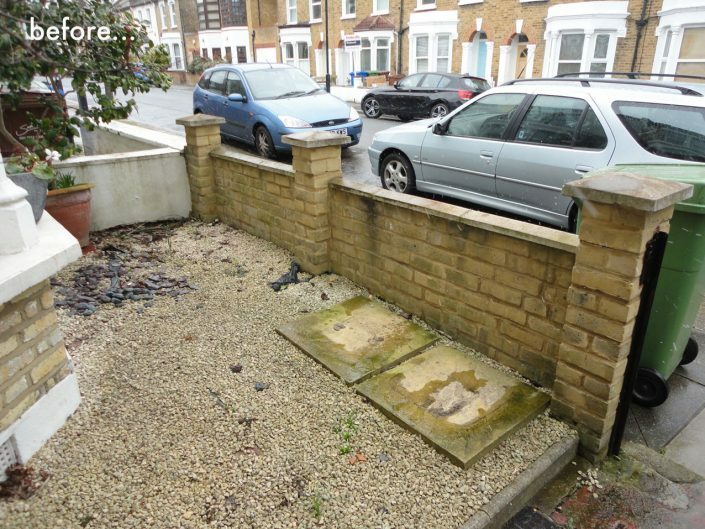 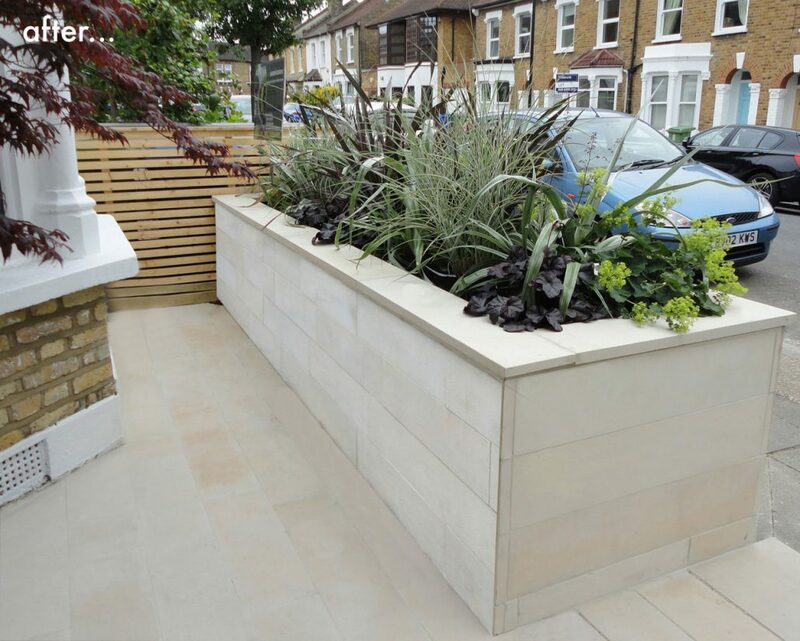 A simple scheme of paving, construction of a large raised bed, and a shared bin store with the neighbouring property would make the best use of very limited space. 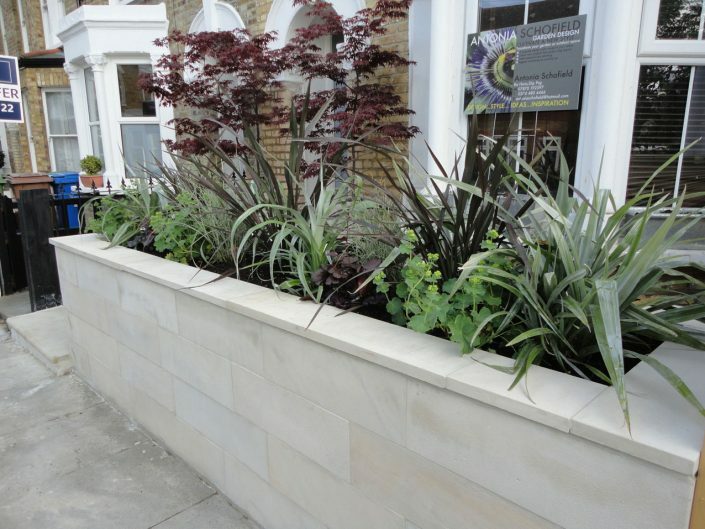 Soft buff coloured sandstone was chosen to tonally blend in with the yellow of the ‘London stock’ brick of the house and this was used to pave the ground area and also to clad the walls of the raised planter to give a very clean look. 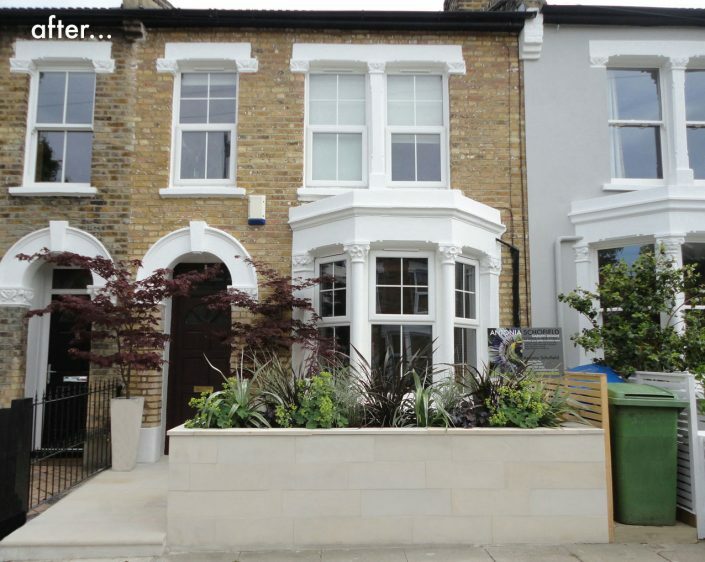 A shared bin store area was created in the dead space between the two properties and this was screened off from the view of the houses by making a ‘venetian’ slatted timber screen. 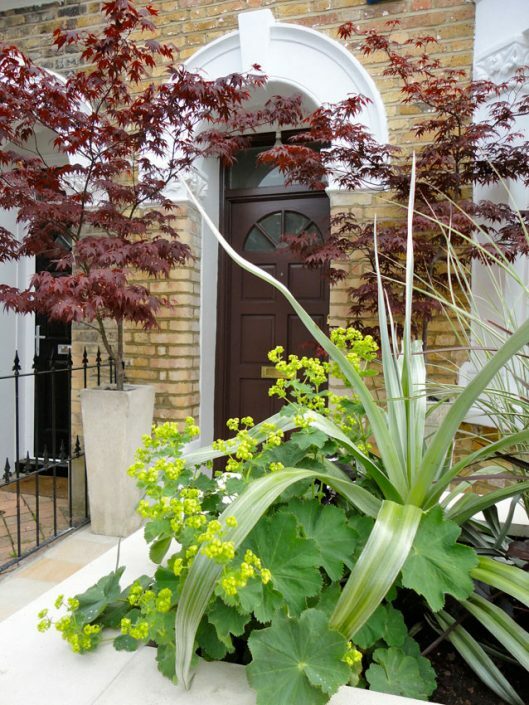 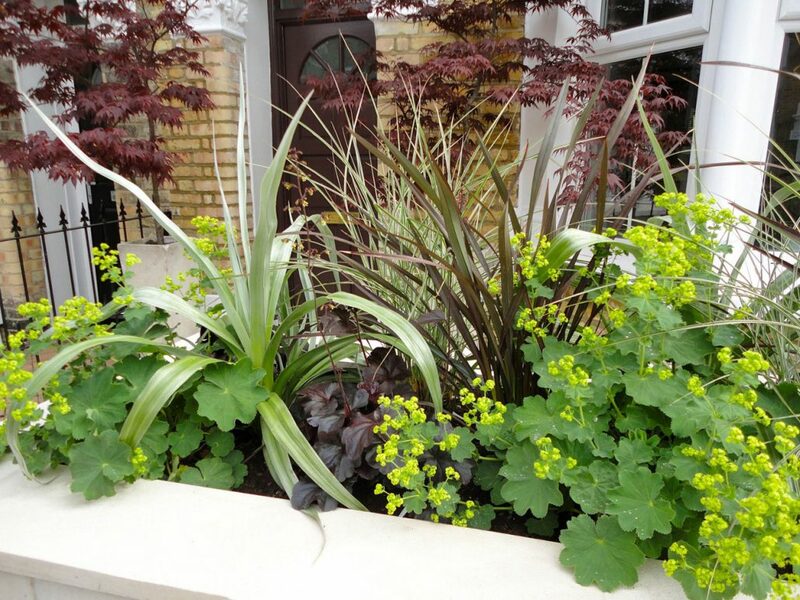 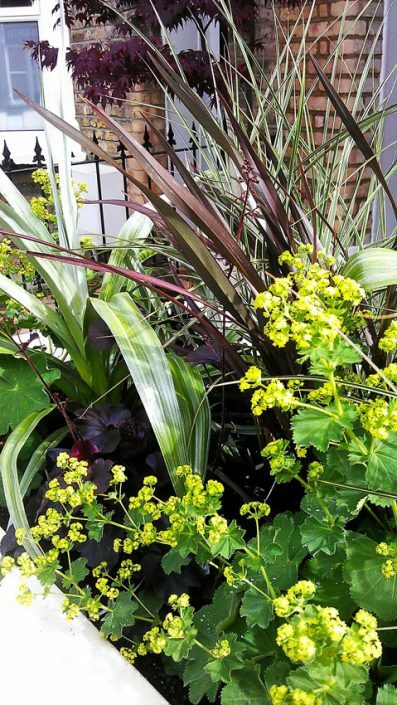 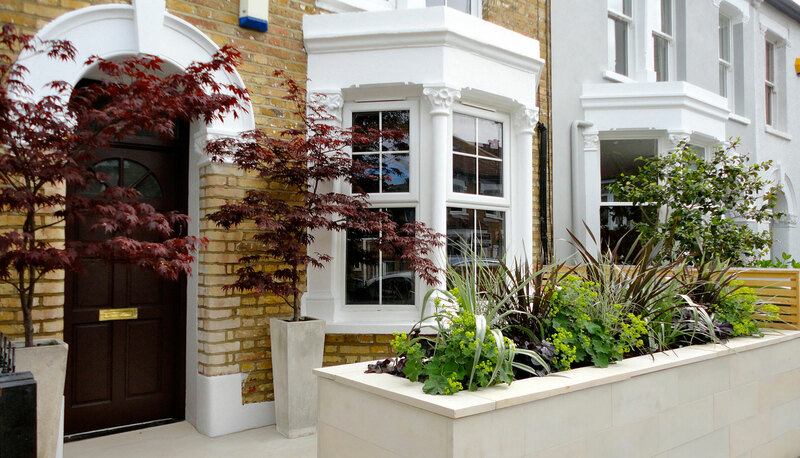 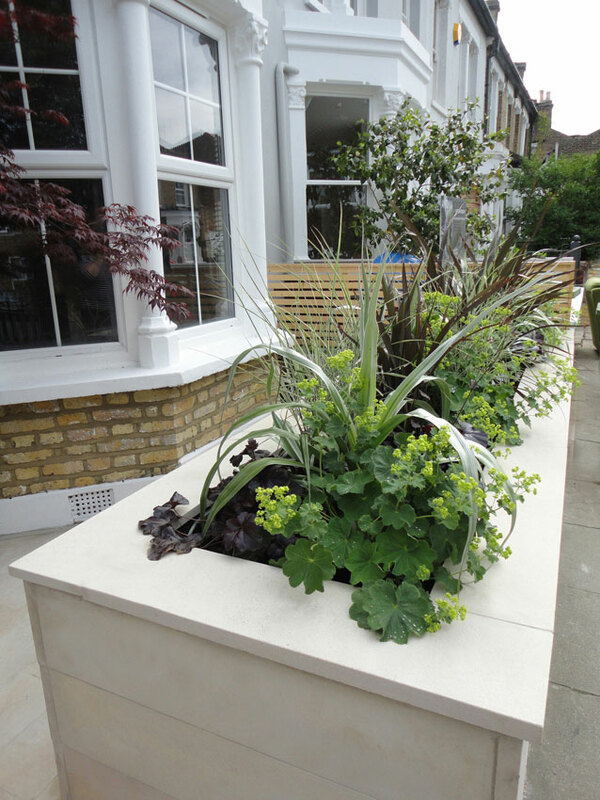 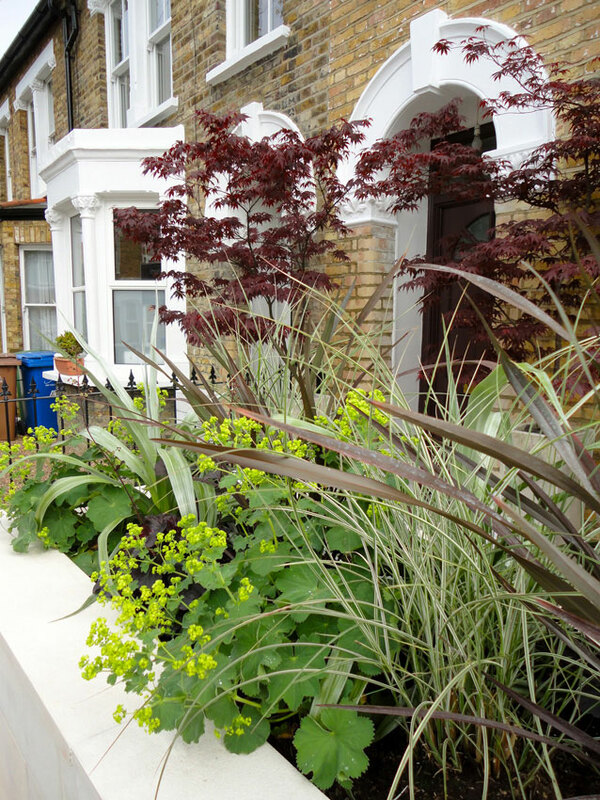 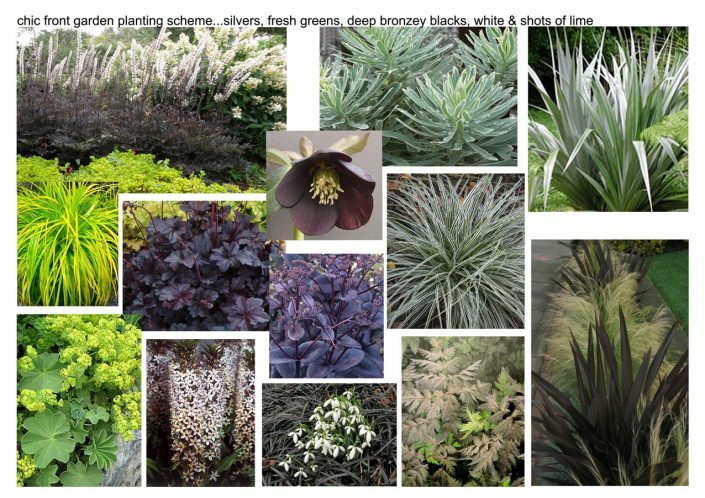 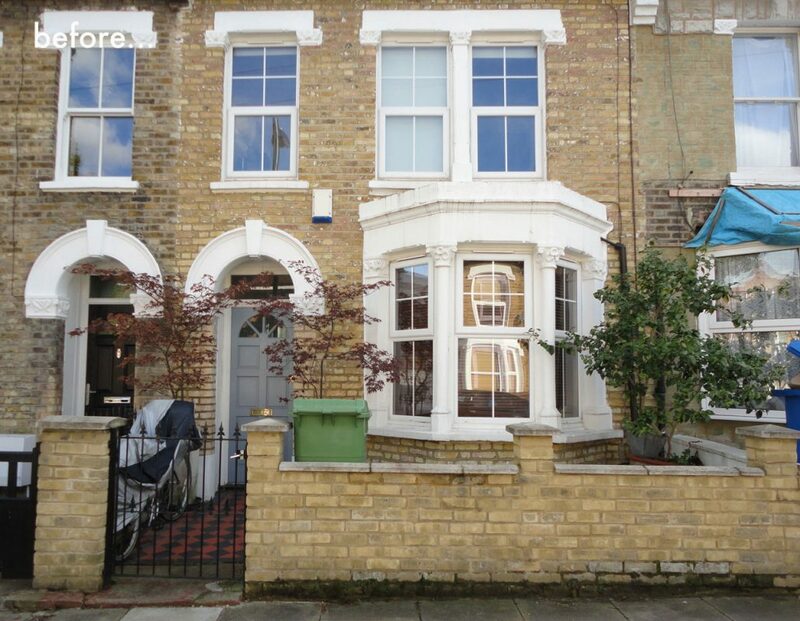 With the ugly bins stored out of sight the front garden could then be all about the raised planter and an exciting, contemporary planting scheme of bold foliage plants in greens, silver, black & white with highlights of fresh lime was planted.